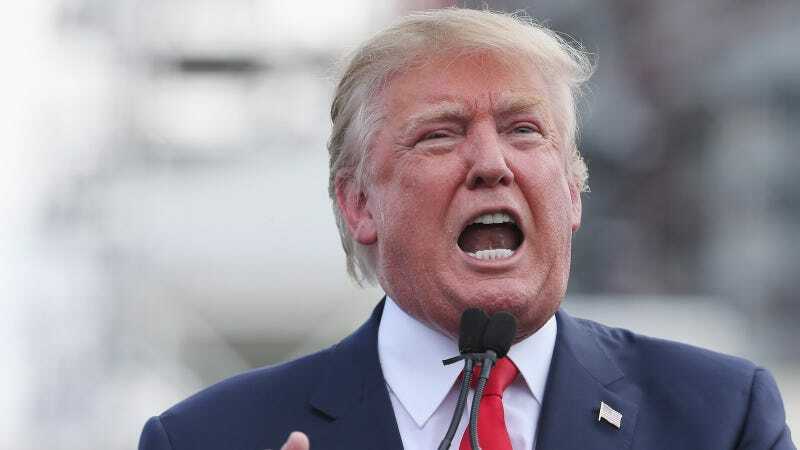 Though on a much grander scale, that’s essentially what Donald Trump did to Iranians on Wednesday when he issued a statement wishing them “freedom, dignity, and wealth” in celebration of Nowruz, the Persian New Year. Iranians might be able to enjoy more “freedom, dignity, and wealth” if Trump wasn’t personally trying so hard to ban them from entering the country. Trump, who both failed to mention the Jews and announce his initial Muslim ban on Holocaust Remembrance Day, also called Iranian-Americans “one of the most successful immigrant groups in our country’s contemporary history” in his tone-deaf statement. He certainly has a knack for turning simple gestures of kindness into flagrant displays of disregard. Trump has tried to push through two immigration bans on several Muslim-majority countries, including Iran in both bans. Both of his executive orders have been blocked by federal judges. Hawaii argues that the revised ban is “state-sanctioned discrimination toward Muslims,” which is unconstitutional.